Syncopation occurs when a variety of unexpected beats are blended to make an interesting and unusual rhythm. 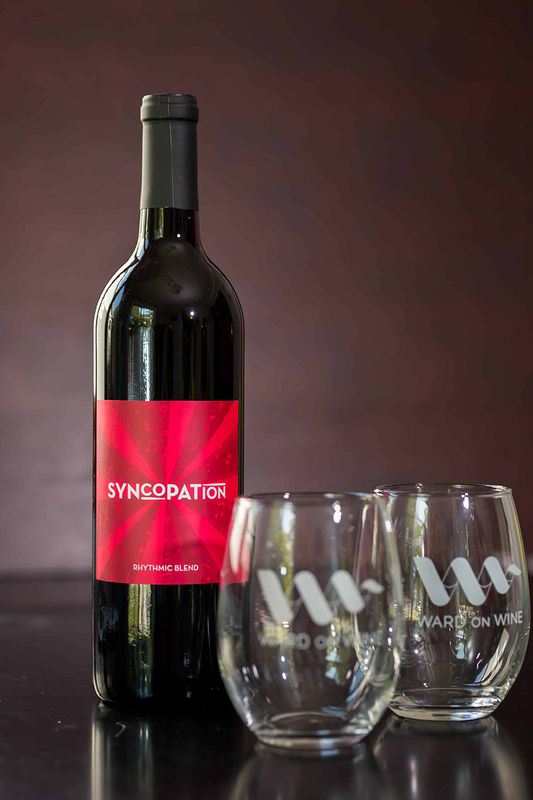 Syncopation wine was created with a variety of unexpected flavors, a rhythmic blend of red and white grapes making an interesting and unexpected cuvee. Syncopation occurs when a variety of unexpected beats are blended to make an interesting and unusual rhythm. 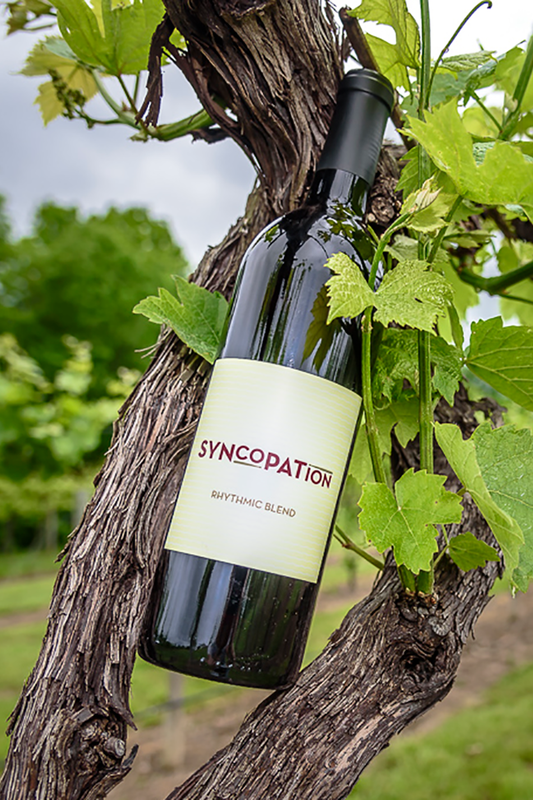 Syncopation wine was created with a variety of unexpected flavors, a rhythmic blend of red and white grapes making an interesting and unexpected cuvee. A syncopated rhythm is a delightful surprise to the ear. 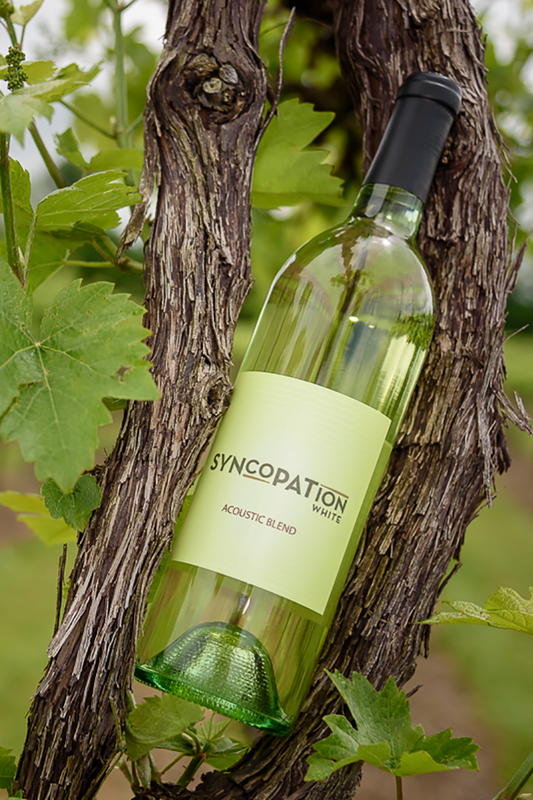 Syncopation Rhythmic Blend is a delightful surprise to the palate. Acoustic music is crisp, clean and clear. Easy to listen to, easy to enjoy. Syncopation White Acoustic Blend is also crisp, clean and clear. Easy to drink, easy to enjoy. This blend is a unique expression of Missouri grapes. With citrus notes, it’s dry with balanced acid. A solo instrument or a single sultry voice can make beautiful music. But add the depth and layer of a harmony, a descant or a counter melody and you will have something quite spectacular! 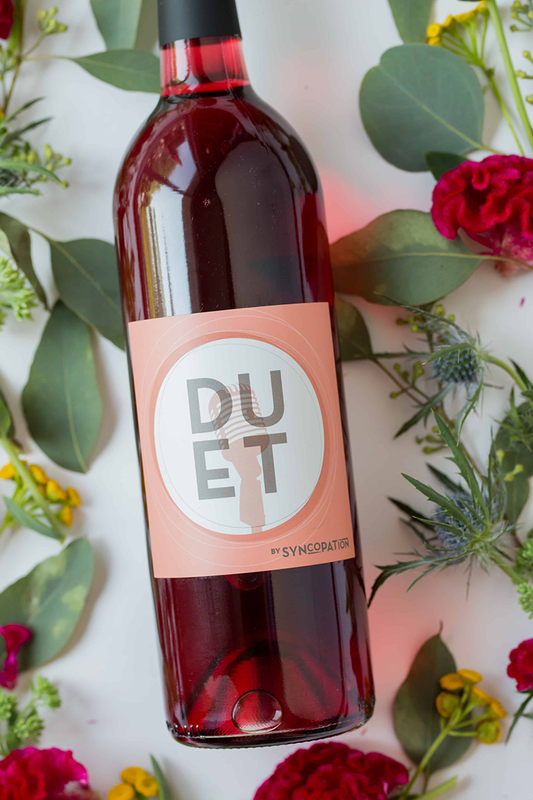 That is exactly what we did with Duet Rosé by Syncopation. We’ve blended the Chambourcin grape with a cadence of Norton to create richness, depth and brightness. A melodious duet can enrich any song, let Duet Rosé enrich your meal. Freewheeling and informal collaboration, a Jam Session is exhilarating, exciting and fun. 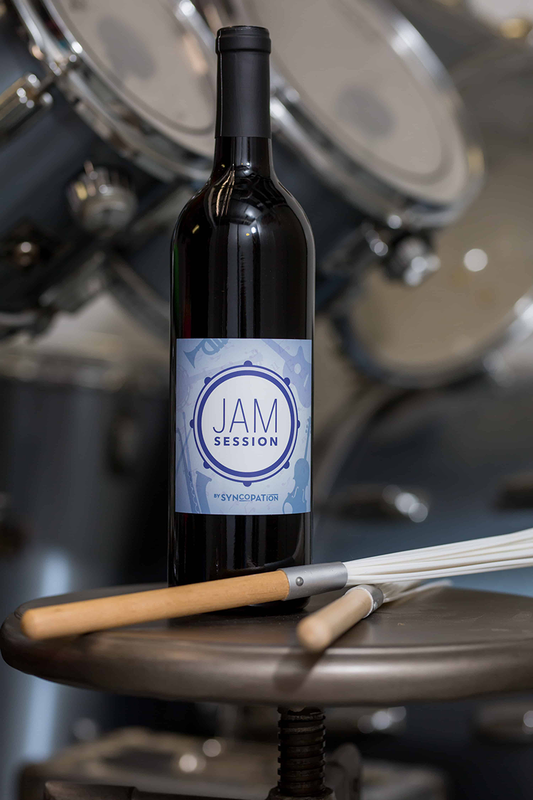 Jam Session blend is just that, a collaboration of Norton, Vignoles, Traminette and Vidal Blanc. Unpretentious, spontaneous and lively Jam Session can be enjoyed anywhere, any day, anytime. "...a unique harmony of taste, structure, and balance." "Syncopation has turned everything I thought about Missouri wine upside down and inside out. It will surprise you." 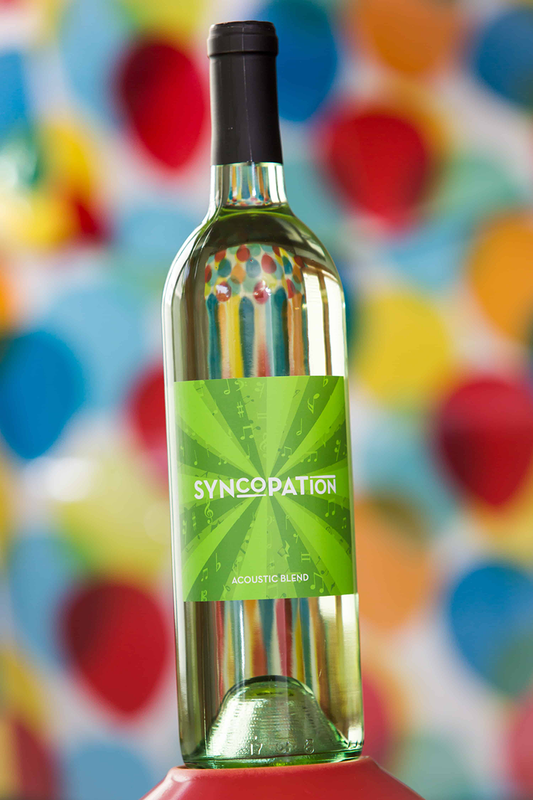 "Syncopation....it's vacation in a bottle!" To me, Syncopation lives up to its name in that it is rhythmic and flowing. If you don't like red wine you need to try this, not your typical red. If you like red, you will definitely love this.